Our cab driver careened through the dark city streets, racing past the standstill traffic on the highway. He knew the side roads like the back of his hand and he was determined to get us to the airport in time to catch our flight, despite the jam-packed traffic. We chatted in Spanish about his family, his life and the experiences we had on our trip. He was delighted that we had had a good time in Colombia and when we finally reached the airport he would not accept the full payment. He told us he was just so happy he could drive us tonight and to please come back. This experience was indicative of every interaction we had with the people of Colombia in the three weeks we spent there. People were extremely welcoming, friendly and helpful. I wasn’t surprised to later learn that Colombia has consistently ranked 1st or 2nd in the world since 2012 as the happiest country. Every person in Colombia with whom we interacted was happy, kind and determined to show us a great time in their country. 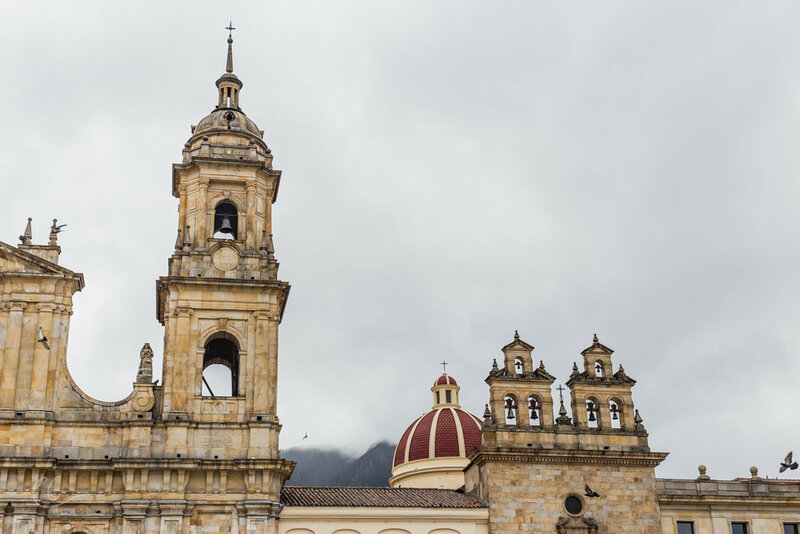 Our time in Colombia was sandwiched by two stays in Bogotá, Colombia’s captivating capitol city nestled high in the Andes’ foothills. 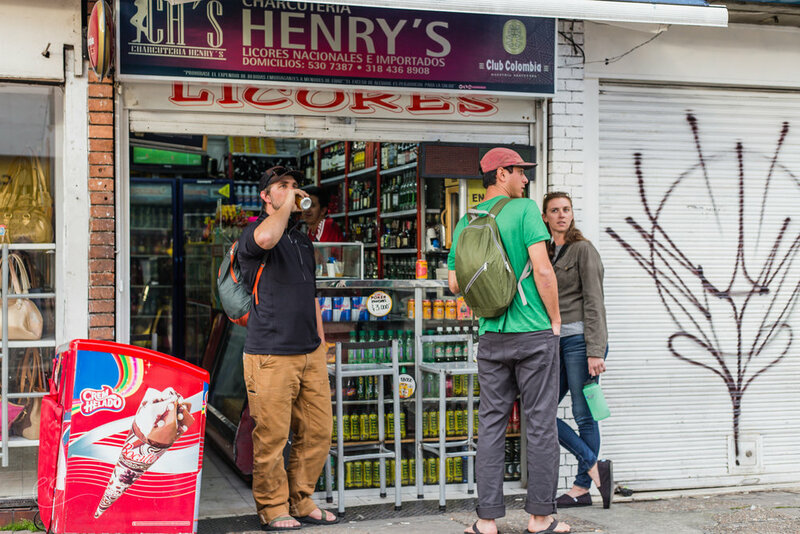 On our very first day wandering around Bogotá we were approached by two college students asking for an interview. They asked questions like, what is your favorite thing about Colombia? What is your least favorite thing? 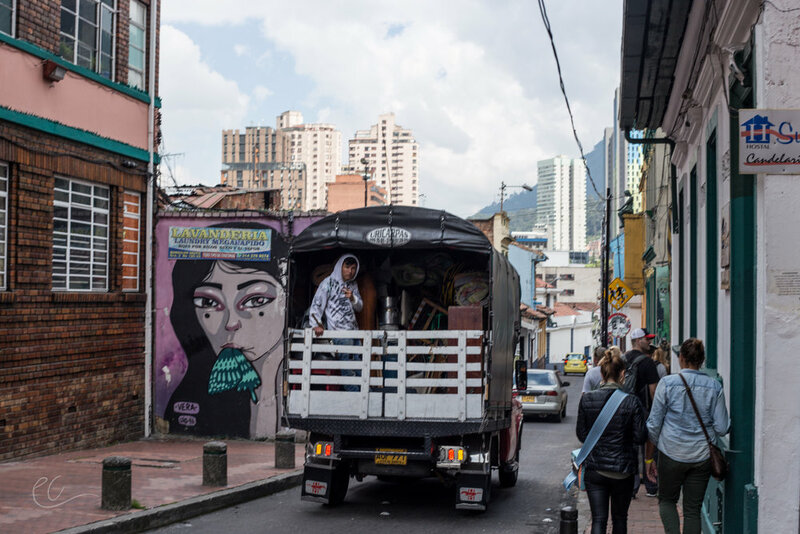 Does the rest of the world still perceive Colombia as a dangerous place, how did the Narco activity affect your perception of the country? And finally, what do you think of Colombians? 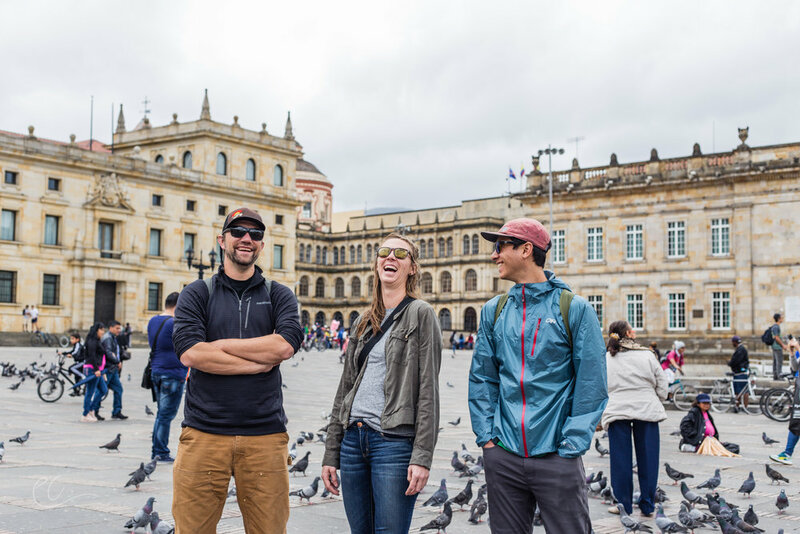 Since this was our very first day in the country, we could not answer most of their questions then, but what I would tell them now after spending three weeks in Colombia, is that I am enamored with their beautiful country. 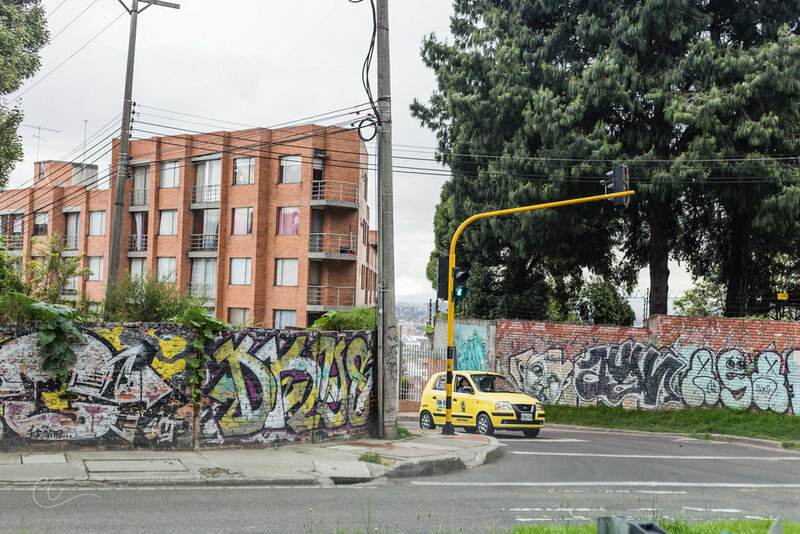 As the working, beating heart of Colombia, Bogotá is a capitol city that truly reflects its country. 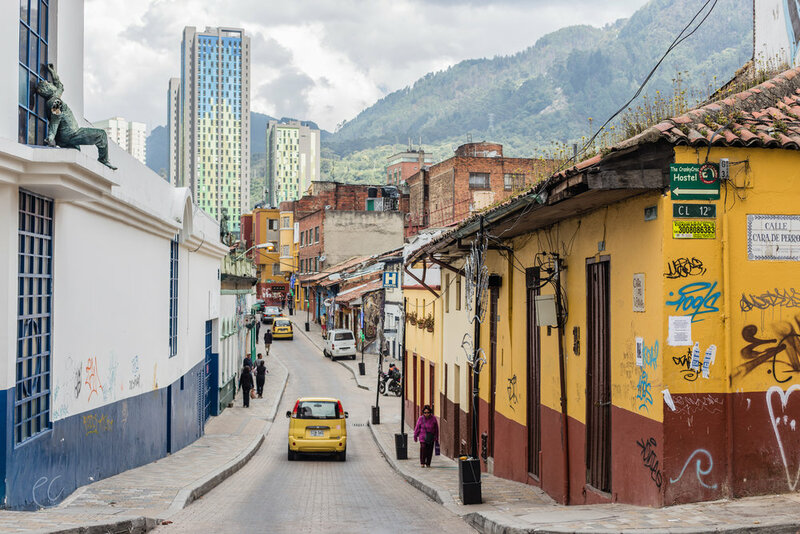 With 9 million inhabitants and the capitol of South America’s 2nd most populous nation, Bogotá pulses with activity throughout the varied neighborhoods. 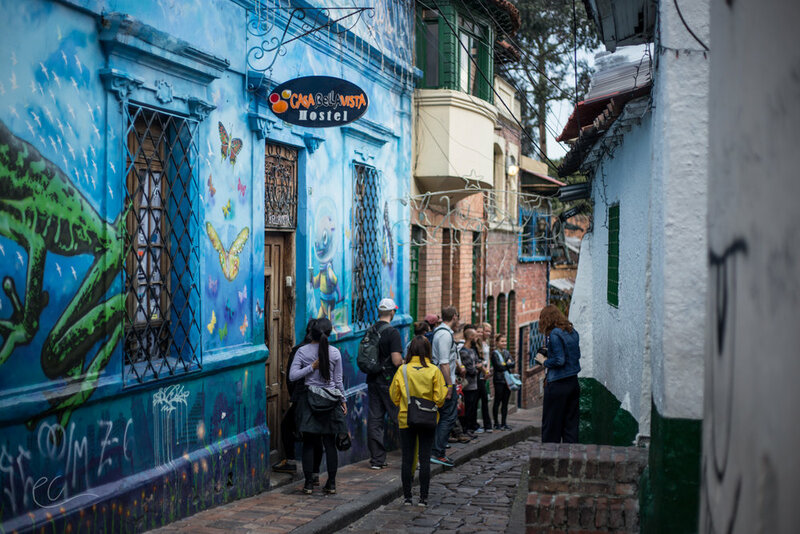 From wealthy Colombians sipping Argentine wine in europeanesque Parque 93’s street-side cafés, to nightclub hopping twenty-somethings in Zona Rosa, to the colorful streets of the old city, to the financial center boasting modern high rises and world-class museums, Bogotá is a city for everyone. It is also a city with one of the lowest costs of living in the world making it an accessible place to live for many. 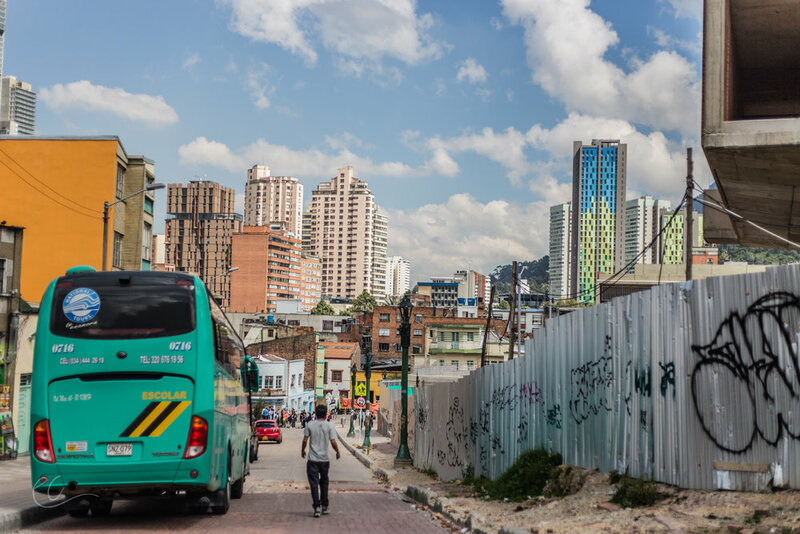 It is easy to become bewitched by this captivating urban jungle, especially when the city hosts things like the international art market and closes 75 miles of roads every Sunday for bikers and runners to enjoy the city without traffic. 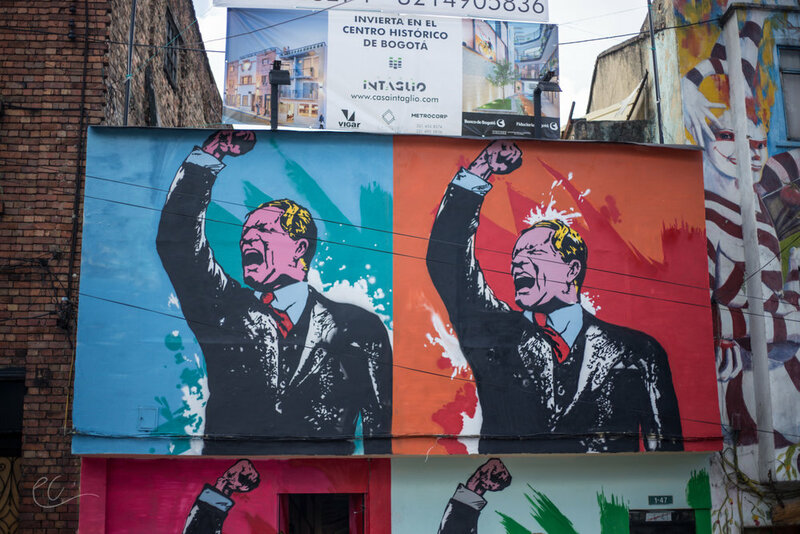 The diversity of Bogotá reflects the diversity of the country it governs. From dry desert to tropical rainforest to 18,000 ft glacial peaks in the Andes, Colombia will never cease to surprise you. If asked today by the college student interviewers in the streets of Bogotá what my sentiment of Colombia is, I would reply: It is a country that is obviously still picking up the pieces of itself after decades of civil strife, but throughout this process, it has persisted as a beautiful nation full of some of the happiest and kindest people I have ever met. It is one of the most biodiverse countries in the world, that of which can be enjoyed throughout its 58 National Parks (the same number as the USA! 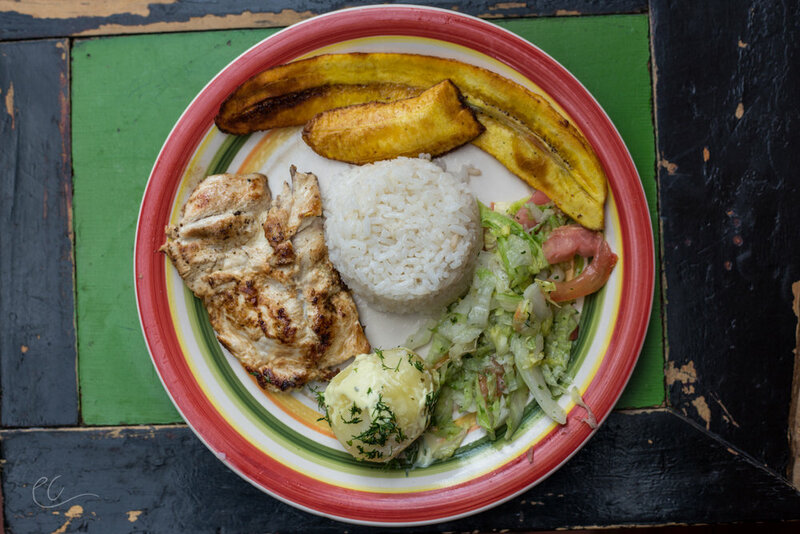 ), and it definitely has its own flavor that is neither Central or South American, but is distinctly Colombian.